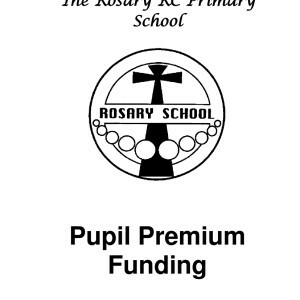 At Rosary, we have high aspirations and ambitions for all our children, ensuring that each child reaches their full potential, both academically and socially regardless of their home background. 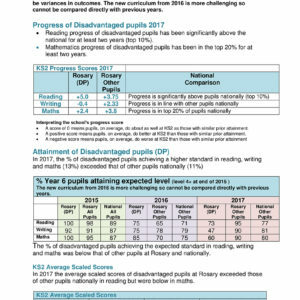 In order to do this we engage in a range of strategies to ensure challenge at an appropriate level, and provide support to overcome barriers to learning. 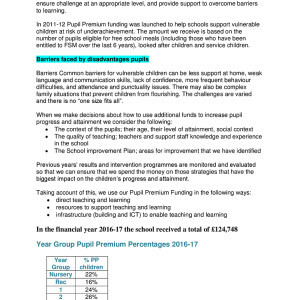 In 2011-12 Pupil Premium funding was launched to help schools support vulnerable children at risk of underachievement. 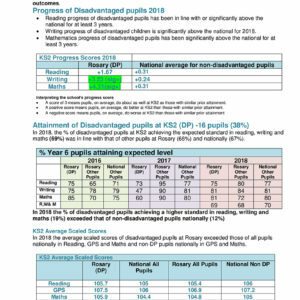 The amount we receive is based on the number of pupils eligible for free school meals (including those who have been entitled to FSM over the last 6 years), looked after children and service children. Common barriers for vulnerable children can be less support at home, weak language and communication skills, lack of confidence, more frequent behaviour difficulties, and attendance and punctuality issues. There may also be complex family situations that prevent children from flourishing. The challenges are varied and there is no “one size fits all”. 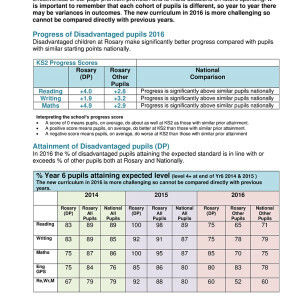 Previous years’ results and intervention programmes are monitored and evaluated so that we can ensure that we spend the money on those strategies that have the biggest impact on the children’s progress and attainment.